Huge Price Reduction!! 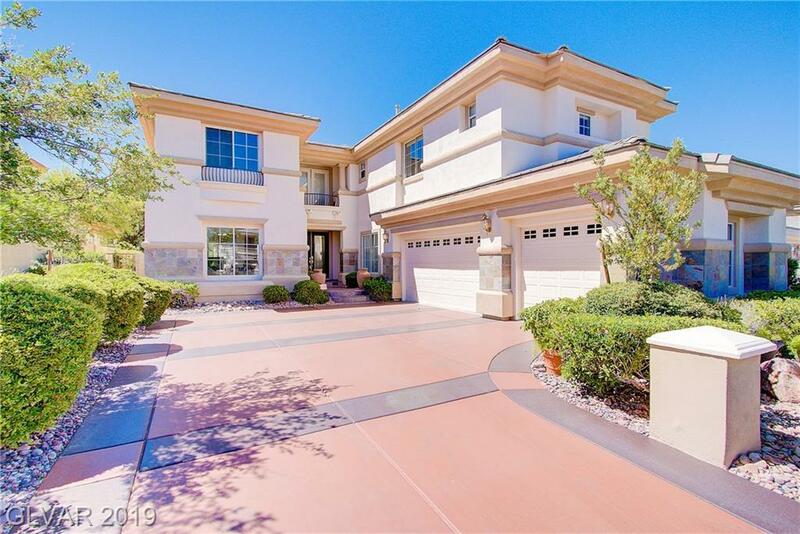 Spectacular Lightly Lived In 5 Bedroom, 4 Bath Home In The Prestigious Guard Gated Community of Eagle Rock. Dramatic High Ceilings, Master Suite Upstairs w/ Balcony and Gorgeous Master Bath w/Dual Fireplace and Huge Walk-In Closet. Gourmet Kitchen w/ Built-In Refrigerator, New Double Ovens and Huge Center Island . Formal Living Area w/Built-In Wet Bar and Fireplace. Backyard Features Lush Landscaping and Covered Patio. Directions: Rampart And Summerlin Pkwy. Go South On Rampart To Canyon Run.t/L On Canyon Run. L/On Soaring Heights To Guard Gate. R/On Plateau Heights, L/On Proud Eagle To Home.